I Skate, Therefore I Am: The Great Desert Pool Duel: skateboarding's greatest! The Great Desert Pool Duel: skateboarding's greatest! The Great Desert Pool Duel with Grant Taylor. one of the most epic contest of this coming spring. The Great Desert Pool Duel. Of course, if you want to come from Bondi, Dusseldorf or Marseille, feel free to flight. The desert has a lot of things to offer, meditation, beer and pool riding. The inaugural “Great Desert Pool Duel” event will start on April 28, 2012 and end the following day in Los Angeles County’s High desert Area. An open invite only format with the best backyard pool skaters grouped in small heats to simulate a real backyard pool sesh. This event will cast a spotlight on one of the most authentic genres of skateboarding. Vertical and pool riding in all of its various forms owes its existence to backyard pool skaters of the 70’s, thanks to the Dogtowners and the Badlanders and a is a tradition that continues until this day. The Great Desert Pool Duel will be held in one of the largest skatable backyard pool in existence. 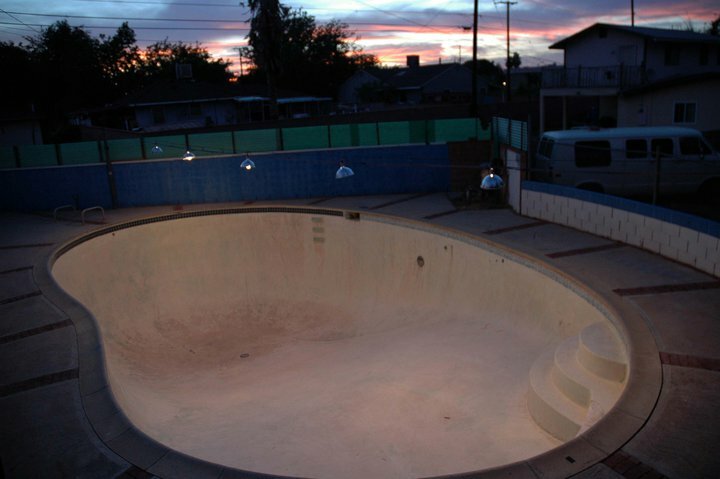 That pool has been chosen by Grant Taylor and Thrasher to publish the SOTY clip a couple of month ago. (see video above). It also made the Thrasher poster for the 2011 Thrasher issue featuring Grant Taylor. This Great Desert Pool Duel is one of the few skate contests to be held in a real backyard pool, so be prepared to go there. You may wish to contact Billy Runaway at palmdalepoolproject@yahoo.com or log on The Great Desert Pool Duel fan page.